The national day of Australia is celebrated every year on the 26th of January. This joyous occasion celebrates the arrival of the First Fleet of British Ships in New South Wales and the raising of the Flag of Great Britain at Sydney Cove. 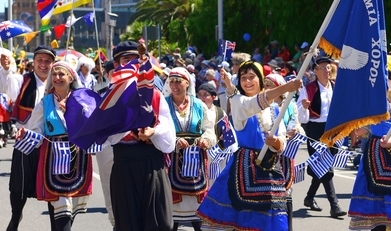 Celebrations on Australia Day are marked by locals to reflect upon the diverse society across the nation. People also hold official community award services and citizenship ceremonies to welcome new members of the Australian community. Did you know that ‘Australia Day’ was not the first choice of name for this special occassion? The date has been named ‘Anniversary Day’, ‘ANA Day’ and even ‘Foundation Day’ before getting it’s official title! Celebrations of Australia Day date back to the year of 1808 where the first official celebration was held in New South Wales. Later in 1901, British colonies formed a federation to mark the birth of modern Australia – a national day of unity and celebration! The holiday is marked by an annual presentation of ‘Australian of the Year Awards’ on Australia Day Eve as well as an announcement of the Australia Day Honours list which include addresses from the Prime Minister! It is an official public holiday (lucky Australians!) in every state of Oz!